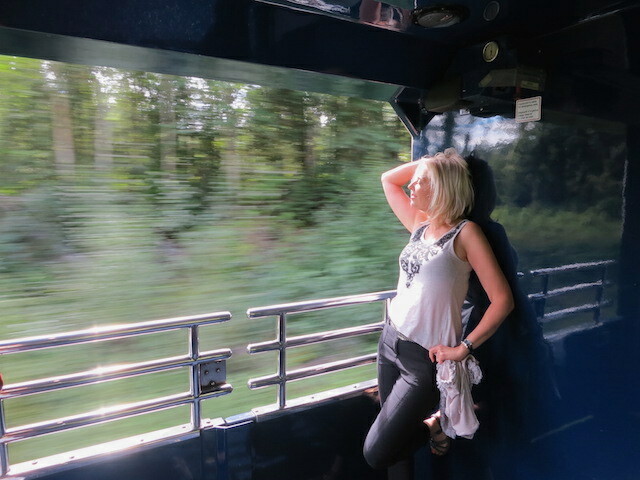 FYI: I’m a brand ambassador for Rocky Mountaineer and this was a sponsored trip. All romantic adventures were my own. And my husband’s. As I stand outside in the open-air viewing car, my legs steadying myself against the motion of the train as I attempt to get the one perfect photo that will make my life complete (if you saw my wildlife photos from last year, you’d know why), it occurs to me that the Season 5 Bachelorette, Jillian Harris, had it easy when she rode the luxury Rocky Mountaineer train in search of romance. She only had to choose between a posse of eligible bachelors. I’m torn between the two big loves in my life, my husband and the outdoor viewing car in GoldLeaf Service. Is train travel truly romantic? People often describe train travel as romantic, but what are they actually referring to? A journey that inspires romance, or the romantic notion of travel itself? And what makes train travel so impossibly romantic anyway? And – here’s the big question – is the Rainforest to Gold Rush route so bloody romantic it’s going to sabotage this gaze-into-each-other’s-eyes-for-two-days-solid Harlequin-love-sized train trip I’d planned? Love will wreck your heart like a derailed train. So choo-choose your partner wisely. 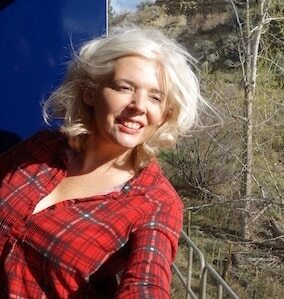 I’m in love with a train car! In short, waiting for what’s coming around the bend on the Rainforest to Goldrush route from Jasper to Whistler can drive you CRAZY, at least if you are me. Especially when you’re travelling through spectacular nature and Canadian history from early European explorers to fortune hunters. In Seattle, Washington, women who sit on men’s laps on trains without placing a pillow between them face a six-month jail term. Other people, like my husband, have a more balanced attitude when it comes to the open-air viewing car. They like it, but are equally happy to enjoy the scenery from a comfy seat with a cocktail in hand. They don’t need to feel the slap of the wind (although, granted, the wind in the desert-like Fraser Canyon in summer is more like a blowdryer blasting up your nose). And they don’t seem to have that same irresistible attraction to the unfettered view, the feeling that the cedar trees and ospreys and rushing rivers are so close you could stick out your tongue and lick them, as if it’s all one big scenic lollypop. It’s my experience that most folk who ride trains could care less where they’re going. For them it’s the journey itself and the people they meet along the way. The only thing that can really drag me away is lunch. Besides gourmet meals, one thing you gain from staying inside the train is the commentary, and there are plenty of tales to tell. The Rainforest to Gold Rush route (except in our case, it’s the Gold Rush to Rainforest route because we’re doing it the other way around), is as much about history and ‘place’ as it is about scenic views. From the moment the train departs from Jasper, Alberta, curving its way through the Rockies in the slanted morning light, to the overnight in Quesnel and the journey through the heart of the Cariboo Gold Rush region, you’re in a land of explorers and adventurers, not just early European explorers such as Simon Fraser, but the ambitious dream seekers of the Cariboo Gold Rush. First discovered about 1857 in the lower Fraser Canyon, gold – and the lure of gleaming riches – drew some 30,000 prospectors to the Cariboo region in British Columbia’s remote interior. 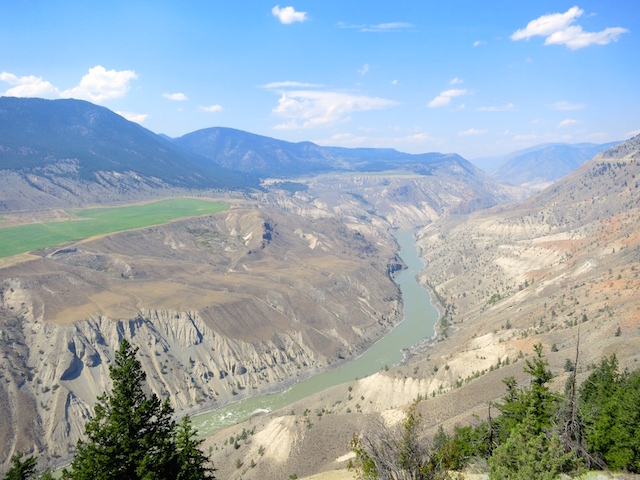 The Fraser River Gold Rush turned into the Cariboo Gold Rush as the finds moved north, creating bustling mining towns in places such as Barkerville, Quesnel and Wells. Some fortune hunters hit it big, some blew their riches on dancing girls and gambling, and some found no gold at all, but all in all the Cariboo Gold Rush was a brief flash in the gold pan. By 1871 the boom had slowed to a trickle, leaving behind a legacy of adventure, courage and grit. And surely the inner adventurer in each of us can’t fail to connect with that. In Wisconsin it’s illegal to kiss on a train. Mark comes outside. 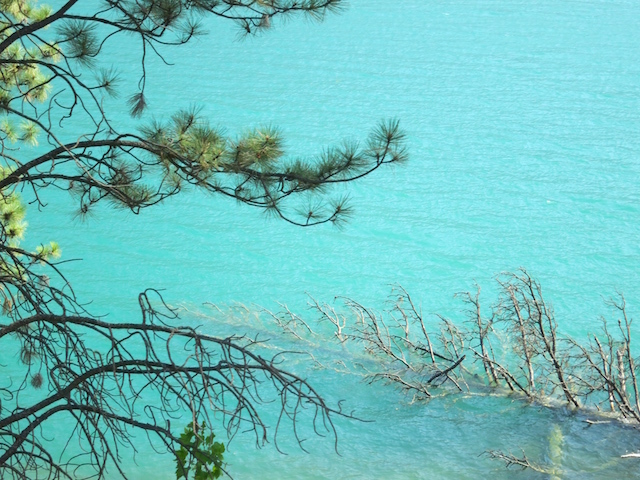 I rest my head on his shoulder as we travel along Seton Lake, its candy-like blue green colour as exotic as the tales of the gold rush we’ve now left behind. The air is cooler here, more refreshing. I reach my arm over the side of the car, feeling the wind push against it, enjoying the heady sensation of moving forward while staying firmly planted in one place. I’ve always felt that distant train whistles heard in the dead of night are the universe’s way of letting us know the best days are neither ahead nor behind us…they’re happening right now, cradled in the palms of our hands. Maybe that’s what makes train travel romantic, the idea of time and place being suspended while at the same time you’re watching both pass by. Ultimately it doesn’t matter if you’re holding hands or your camera, or where you are on the train – it’s the experience you’re sharing, the journey, not just with your partner but with everyone on the train. Could there be a more ‘authentic’ romantic train trip than that? Mark puts his arm around me as Seton Lake fades into Anderson Lake and we steam towards Whistler, watching the West roll by. What Rocky Mountaineer trip to take: If you’re wondering which Rocky Mountaineer route is best for you, take Rocky Mountaineer’s quiz. But don’t let it rule your life. My quiz said I should do the Journey through the Clouds route but I did the Rainforest to Gold Rush anyway (and, as you can tell, I’m a fan). Still wondering which train route to choose? 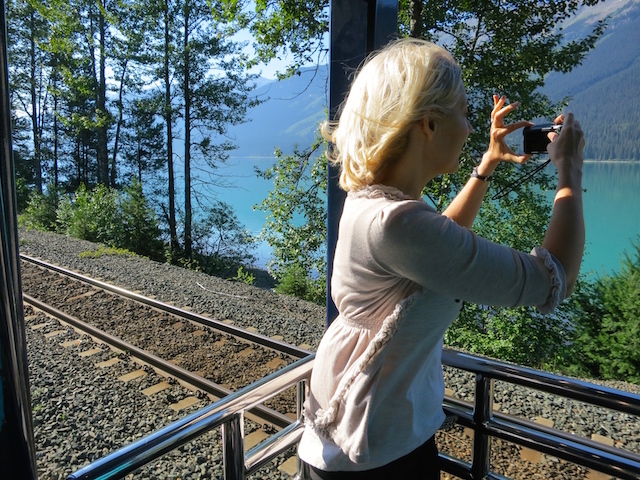 You can also read my Rocky Mountaineer Scenic Train Routes blog post for help. 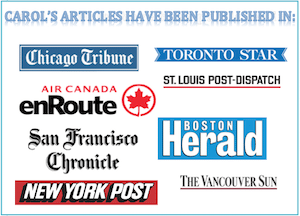 For the most comprehensive place to find information visit the Rocky Mountaineer website. 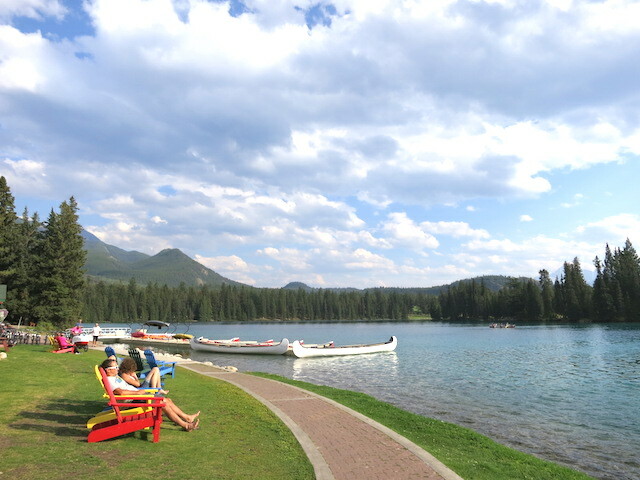 Read the 1st travel blog post of this Rocky Mountain Adventure at Lake Minnewanka and the Fairmont Banff Springs spa. 2nd post: I’m not late! Icefields Parkway Tour of the Canadian Rockies. 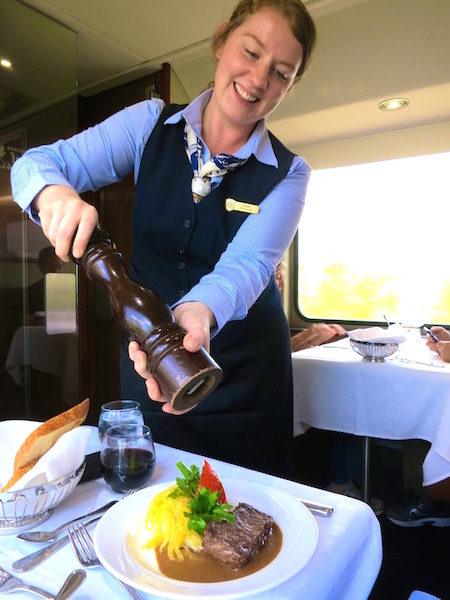 Disclosure: As Rocky Mountaineer’s Blog Ambassador for 2015 much of my trip was paid for. The opinions and addiction to the outdoor viewing car are my own. Do you really need GoldLeaf on the Rocky Mountaineer? Do you need the outdoor viewing car? Those in SilverLeaf Service have access to open windows between cars for taking photos and enjoying that ‘wind in your hair’ feeling, while GoldLeaf Service (the premium option) has the open-air viewing car. What do you see on the Rainforest to Goldrush route? 2nd shortest answer: The Rainforest to Goldrush route starts (or ends) in Whistler, BC, and ends (or starts) in Jasper, AB, with an overnight in Quesnel. 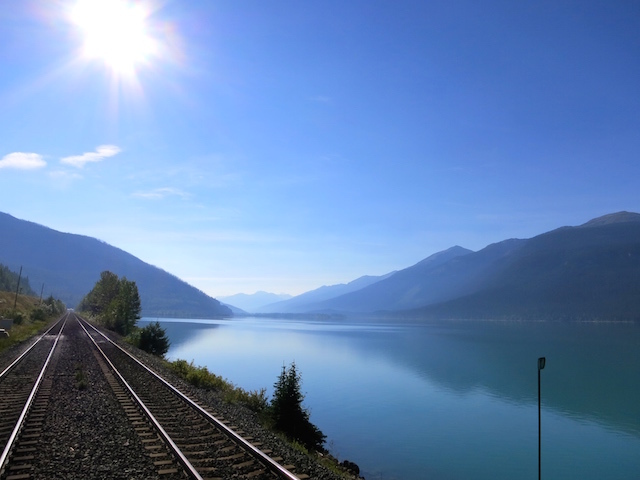 Most people journey on from Whistler to Vancouver on Rocky Mountaineer’s Sea to Sky route. Jasper. The town of Jasper was established in the early 1800s. 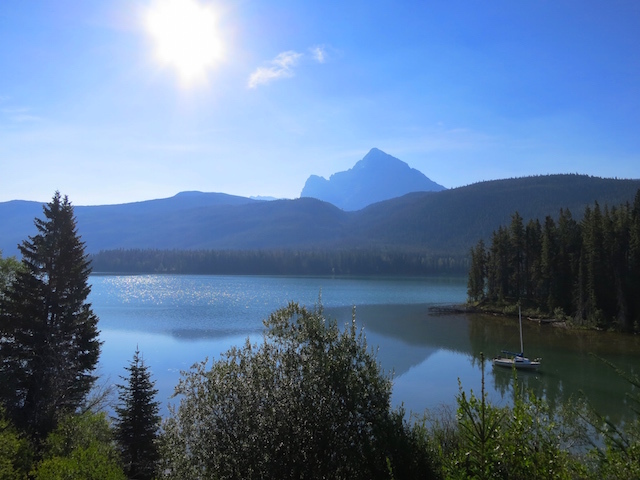 It’s a sleepy lovely mountain town in the Canadian Rockies and the main tourist stop in Jasper National Park. I was a chambermaid here in my 20s. I lasted a month. Yellowhead Pass. One of the lowest points along the Continental Divide and a historic pass through the Canadian Rockies. Mount Robson. The highest peak in the Canadian Rockies. It’s very exciting. Especially if you can actually see it instead of clouds. Prince George. 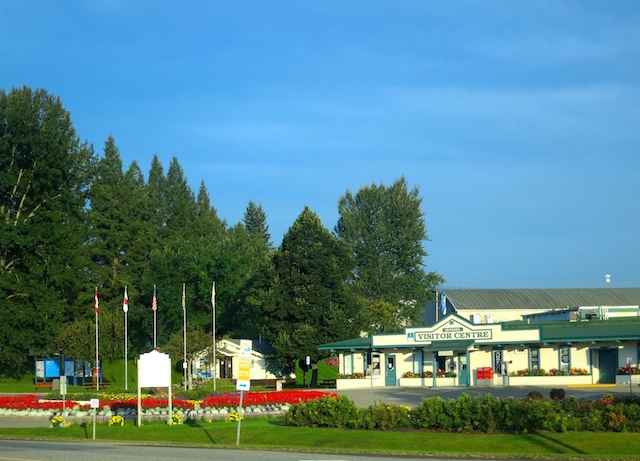 A timber town and transportation hub, this Canadian city of 80,000 sits at the spot where the Fraser River and Nechako River meet. Quesnel. This is where you overnight and it’s pronounced kwa-NELL, not KWEZ-nell as I persisted in calling it for far too long. It was named by explorer Simon Fraser when he stopped here on his route during his epic journey along the Fraser River back in 1808. Soda Creek. During the gold rush, you could catch a paddle wheeler here to Quesnel. It’s a very ancient land (yes, yes, what land isn’t?) with petroglyphs and pictographs along the river. Oh, I would have loved to explore this region in more depth. Deep Creek Bridge. Lying 94.5 metres (312 feet) above the water, it’s the 2nd highest railway bridge in North America. Williams Lake. A trading hub for the Cariboo and Chilcotin regions with a world famous rodeo, the Williams Lake Stampede. Lone Butte. Photo op! A 75 metre (250 foot) hill of lava left from an ancient volcano. Fraser Canyon and the Fraser Bridge. 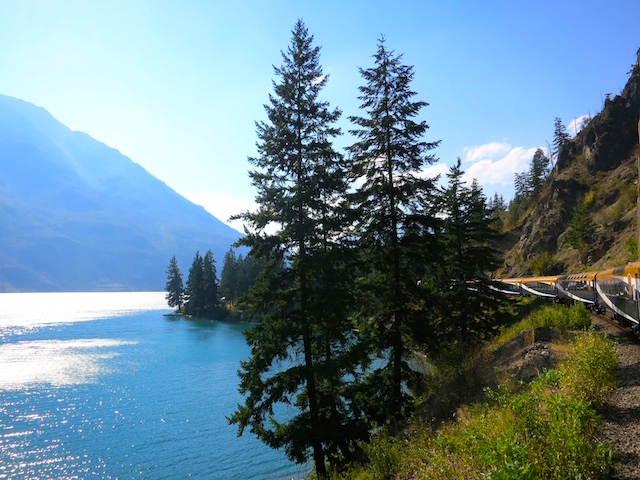 It might be hot as Hades but the stretch from Lillooet to Kelly Lake is the highlight of the trip. Just wow. 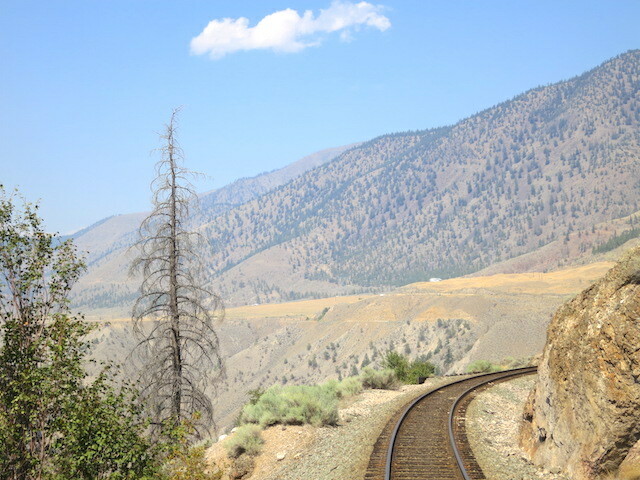 Lillooet. Another former stop on the gold rush route. Anderson Lake. All 24 km (15 miles) of it. Nairn Falls, where the lovely (and obviously green) Green River enters a narrow gorge and topples over rocks. Next May I find myself in Edmonton. I may have to take this trip from Jasper to Whistler. You made this trip seem irisistable. Hi Miranda, Thanks for commenting. I would love to do an Edmonton-Jasper route. I’ve driven that road a number of times, and would really prefer to sit back and relax. This train journey sounds great – I did the Edmonton-Jasper route earlier this year and it was so fun. There was no open air car but I definitely preferred the Skyline car even though we had our own cabin. 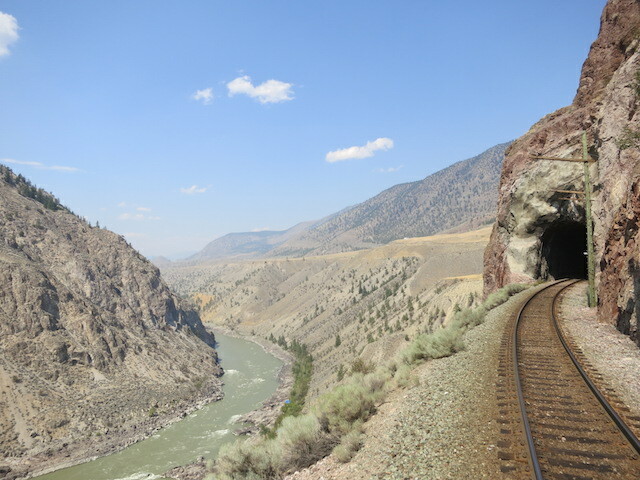 A friend of mine used to work for Rocky Mountaineer and described this trip a few times – it’s definitely on my Western Canadian bucket list. You and my husband would get along, Marc. Train travel is my favourite, I always take it over air if I can as you see a different side but I’ve never taken it out West. I’m making a note to put this on my to do list. Thanks, Pat! A tour guide sounds good! Next time you are in our fair city, give me a call…I love to play tour guide for visitors!!! Hi Pat, Thanks so much. I actually did do the route through Kamloops! It’s a great place, but the stores shut too early! I wanted to shop. Next time I’ll stay longer. Hi Carol, So glad you enjoyed your Rocky Mountaineer experience. 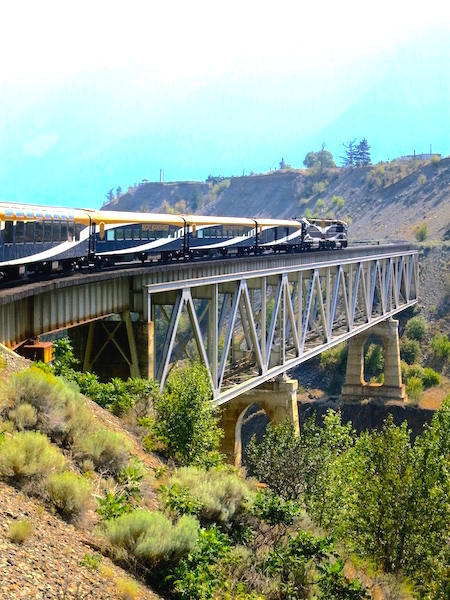 Seeing the RM trains come in and the buses around Kamloops is a regular sight as a couple of the Fraser Canyon/Calgary routes bring people for an overnight stay in Kamloops. Maybe in the future as RM Blog Ambassador you will take a different route and enjoy our great city……. Wow! I bet this is romantic. My husband and I would love this. The scenery is beautiful! And, that lake! I’d love to see that bright turquoise water. What an amazing view! I can’t say I’ve ever seen anything quite like this before! Oh, thanks, Mimi. I’m glad you saw it as a romantic story, because it truly was. Oh, what a shame, Angie. I was just heading to Seattle especially to bring my aquarium onto the bus. Guess I’ll have to cancel that trip. Haha. Wow, gorgeous photography! Thanks for sharing! Beautiful pictures! I haven’t had a romantic train experience like this, but you sure are making it sound appealing :-). I live in Seattle, and that lap sitting law is hilarious!! Who knew! There is also one here that you can’t bring aquariums on buses. Now you know ;-). Your pictures are amazingly beautiful.I love the way you shared this experience in the form of a romantic story. It gave the post a totally different feel. There is nothing like train travel, Crunchy Mommy. these photos make me want to travel everywhere by train! i love this! I can’t believe you hiked partway up Mount Robson, Rebecca! What an experience! It’s when you think you can’t get away that you need to get away, Jaime! At least that’s what I think. It’s a special train and a special route, Liz. I’m glad I could introduce you to di. Yes yes, I believe travel is wonderful with the right person! I would love to ride the train on a long journey somewhere. WOW the views are just breathtakingly beautiful! What an amazing experience you both have. 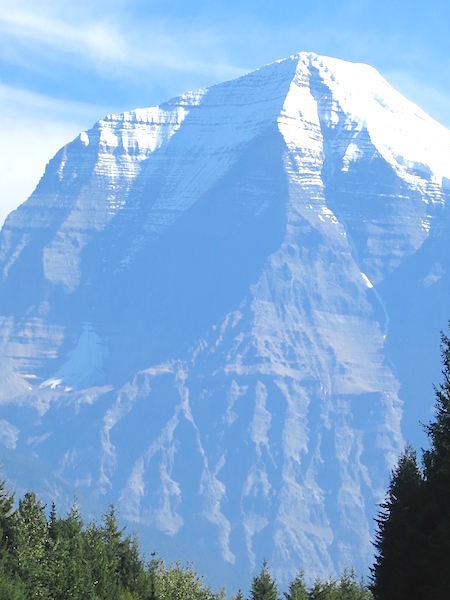 I love the photo of mount Robson. I hiked a few hours up it once and it is a world unto itself. It sounds like you had a lovely trip. This looks like an incredible adventure. I know that we would really enjoy such an adventure if I could actually get away from work long enough to take that trip. Now I just need to convince myself to take the time away from the office – and convince someone else to babysit work until I return! These pictures are amazingly beautiful! I’m with you. I would be outside the whole time too regardless of the weather! Your pictures are beautiful. I’ve never been on train car before. Seems like a wonderful way to see the site. Wow, having those kinds of views while traveling would be incredible. I never thought a train ride could be so nice. Thanks for commenting, Rena. I hope you manage to take the trip sometime. Yes, it’s hard to decide, inside or outside! I had never heard of this trip before, but I am so hooked! I have always wanted to do something like this with my husband. I pinned it so I could refer back to it again and again and again. I don’t think I’d have gone in either! Thanks Lesley, I’m with the both of you on that one. Thanks, Amanda – he wasn’t mad. It turned out to be a very romantic trip, just not a fake kind of goo-goo eyes romantic. Wow, the views from your train were absolutely STUNNING! Tell your hubby he can’t get too mad at you…those views are once in a lifetime and thankfully you get to hopefully spend a long lifetime with him! Love your photos, Carol! When it comes to train travel, I have to agree with Edna St. Vincent Millay. Perhaps romance comes from time. On a train, there’s isn’t much use in rushing, so one eventually settles in and literally watches the world go by. It’s the speed of the journey that stills our racing minds (well, maybe not for you, haha…). But even in your excitement to get the perfect photo, there’s probably still that feeling of space that opens up when you’re stuck in a relatively small area and can only be THERE. I think romance is everywhere but we’re all too busy to notice it. Trains, in a way, force a slowing down that reminds us what and who is around us. And there’s much romance around us!